The internet is great for dating, but it’s also a brilliant way to find new friends. These are some of the best websites for finding friends online. Facebook isn’t just a place to catch up digitally. You can join local groups and communities, find out about events and receive invitations to join in. Subscribers to Streetlife, a social network tool where you can post messages about your local area, often make friends online and set up gardening, walking, local history or other interest groups. Or try Meetup, where local residents get together to learn or do something. If you want to eat cake, consider the Clandestine Cake Club, whose members meet in a secret location to eat the goodies they have baked and make friends. It has more than 170 local clubs across Britain. Ideal if you want to find friends in later life and learn something is the University of the Third Age. Find out about courses you’d like to join – which range from computing to dancing and philosopy - or even start one yourself. 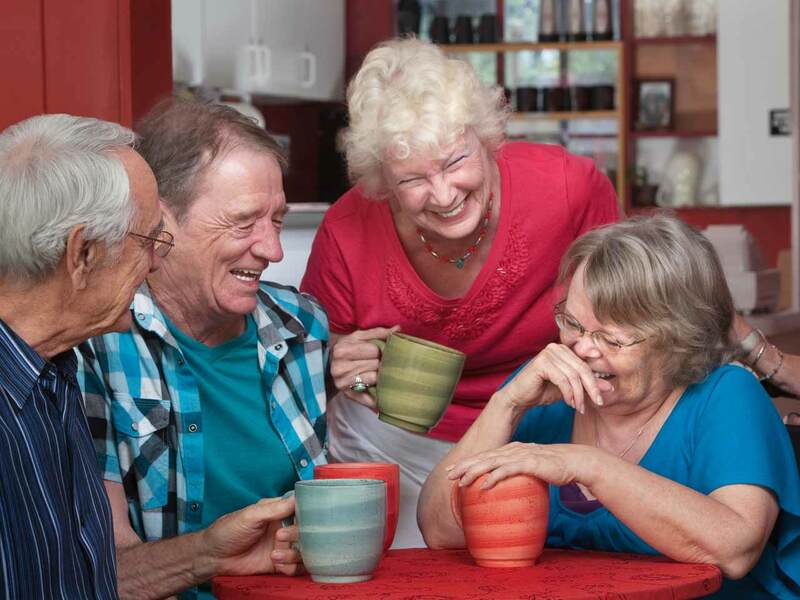 On Gransnet.com, grandparents can discuss everything from ageism in the workplace to coping with daughter-in-laws, and can meet up via Gransnet Local. For women who want to find female friends based on location, age and interests, there’s Together Friends, while you can find your local chapter of the Red Hat Society. Inspired by the Jenny Joseph poem which opens, “When I am an old woman I shall wear purple/With a red hat that doesn’t go, and doesn’t suit me,” women over 50 get together for friendship and fun including picnics and cinema visits. Men who want to make friends and love working with their hands should check out the UK Men’s Sheds Association. At Men’s Sheds, members meet up to work on projects ranging from restoring furniture to building a car. Visit menssheds.org.uk to see if there’s a Men’s Shed near you – there are dozens around the country. A good place to start is the volunteering agency NCVO, where you can find your nearest volunteer centre. If owning a dog is out of the question, consider walking someone else’s. Borrowmydoggy.com puts wannabe walkers in touch with owners, while the Cinnamon Trust matches volunteer dog-walkers and short-term fosterers with elderly or disabled owners.